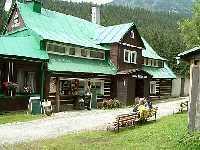 The Krkonose Mts. 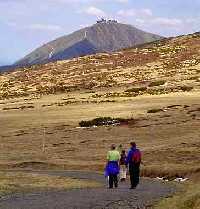 are a real hiker's paradise giving you a close encounter of a landscape unique to Europe. 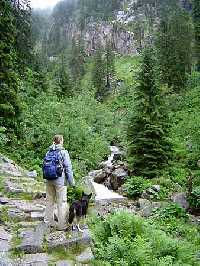 The rough nature high on the mountain ridges and summits will challenge and but also reward you. After you mastered some rocky ascents you'll be treated to magnificent views over spacious panoramas. Once you feel the wind on your skin and you feast yourself to the panoramas, you will know, why this place is something special. 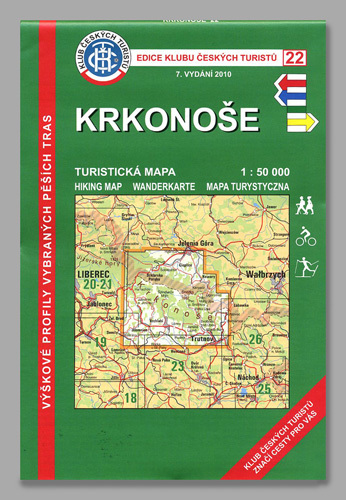 No wonder, the Krokonose Mountains are home of countless tales and myths. 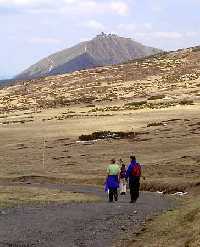 Hiking has a long tradition in the Krkonose Mts. 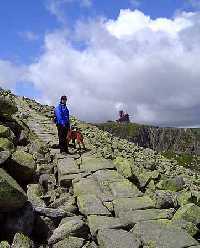 Already Goethe had hiked up to Snezka(1602 m) to enjoy the sunrise. 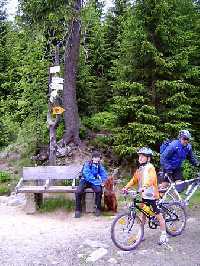 Hiking trails in the mountains are well marked and are distinguished by colours (red, blue, green and yellow). 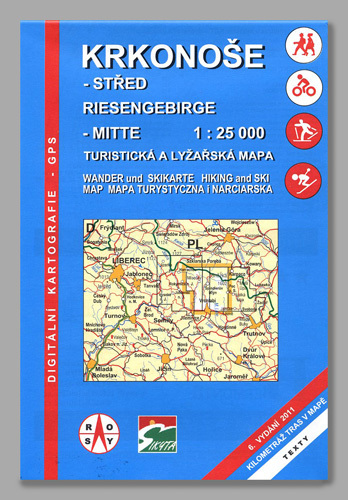 So, equipped with a map, even first-time visitors will easily stay on the right track. 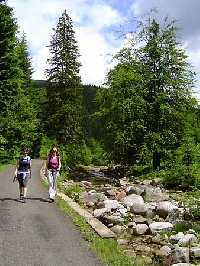 As the weather in the Krkonose Mts. can change within one hour, we recommend to always bring a map, a raincoat and some warm clothes. Always stay on marked trails and respect the delicate nature. 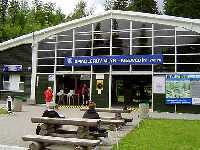 Dogs are only allowed in the national park when kept on the leash. 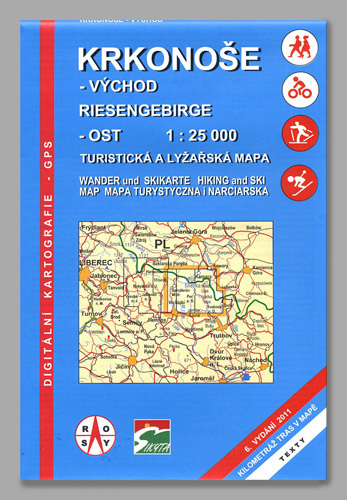 In our e-shop you can purchase guide books with hiking pathes and maps.